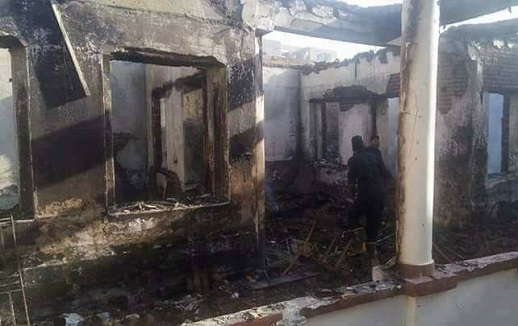 A dozen Coptic-owned houses were vandalised and three others were looted, as were four Coptic-owned shops, during the 25 Nov. attack in Al-Naghameesh village. Two weeks after a Coptic community was attacked over rumours it planned to open a church in the village, one of the Copts says it is his community’s “right” to do so. “We applied for a permit to build a church more than three times but our application was rejected, though there are more than 2,000 of us in the village,” Romany Yaccoub told World Watch Monitor. “We have to drive for more than half an hour to go to the nearest church, in another village, so we can pray. We should have the right to have a church in our village – it is our basic right. Yaccoub added that the Copts of Al-Naghameesh village, which is in the Sohag Governate, 450km south of Cairo, want the perpetrators of the 25 Nov. attack to be punished. Molotov cocktails and stones were thrown at Copts and their homes during the attack, which took place after local Muslims’ Friday prayers. 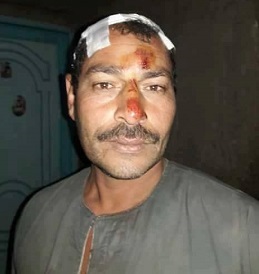 Another local Copt, Thomas Makram, told World Watch Monitor that a number of “moderate Muslims” and the local mayor had attempted to intervene, but “failed to control the situation because the number of attackers was very large”. Four Copts were injured during the attack. Four Copts were injured, a dozen Coptic-owned houses were vandalised and three others were looted, as were four Coptic-owned shops. Makram said the mob also attempted to reach the Copts’ community centre, but that a group of Copts “confronted them and were able to prevent them from reaching it”. He added that fire engines attempted to enter the village three times but were prevented from doing so – “the attackers blocked the road and cut off the water and power supply to the village”, he said. The police arrived an hour and a half later and used teargas to disperse the mob. Twenty-nine people were arrested. Fifteen are still being held; the other 14 have been released. In the three-month period between May and July this year, Copts suffered in excess of a dozen attacks, many due to rumours Christians were building a church that local Muslims deemed unnecessary. Church construction in Egypt has long been a contentious issue. In August, the Coptic Church said proposed amendments to a law on church construction were “unacceptable, impractical and a danger to Egypt’s national unity”. The country’s House of Representatives was first presented with the draft law in mid-May. Holding its first session in January, it had been aiming to discuss and comment on a new priority legislation that would remove the many hurdles which have often made building a church impossible. Similar draft laws had been tendered by representatives of civil society, the Cabinet, or Parliament several times before, including in 2006, 2009, 2011, 2012 and 2014. Following the approval of the law in September, a Holy Synod statement suggested the Church anticipates difficulties in the early phases of its implementation. Christian MPs, rights workers and researchers condemned the law as an attempt to pacify Christians in the name of public order, while not effecting real change. Prominent Coptic figures said it was indicative of the Church’s rapprochement with the government following the ousting of the Muslim Brotherhood; a political move they fear compromises Christian interests. Coptic activists said the law singles out Christians, when the country needs a unified law on the building of places of worship that would treat the construction of churches on a level playing field with mosques. Activist Abraham Louis said the law could even prove more restrictive than before, as requests to build or renovate churches must now be approved by local governors, who could reject an application on the grounds of maintaining peace and stability among communities susceptible to sectarian clashes. But Church authorities view it as a step in the right direction towards the protection of Coptic rights, according to Middle East Eye.